1/8 oz. Glass Vials | U.S. Plastic Corp. 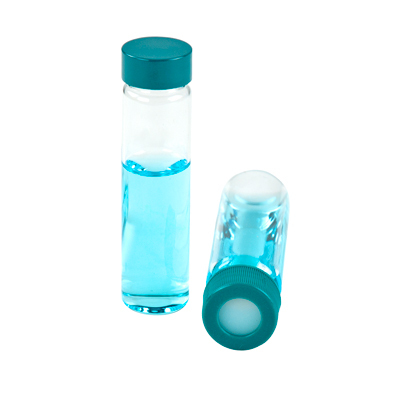 Type I borosilicate glass vials offer excellent protection from chemical attack. They have a higher softening point that provides greater heat resistance. Sold per case to reduce carton dust and keep the vials in a pure environment. Bright blue carton color means easy identification. Great for long term storage. Caps are PTFE.